West Coast billionaires in tech and venture capital are buying up historic print titles in an effort to spread their idealistic ambitions to media. Why it matters: The deals are helping to shift the reins of power in media from the old guard of East Coast publishing dynasties to wealthy, West Coast elites with new money. 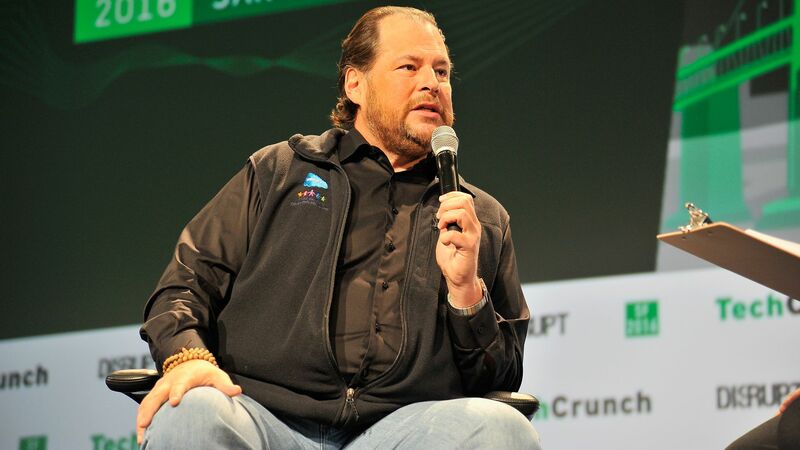 The latest ... Salesforce CEO Mark Benioff and his wife Lynne are buying Time Magazine from Meredith Corp., which acquired the publication (with help from the Koch Brothers) as part of a $2.8 billion acquisition of its parent company Time Inc. in January. The deal is priced at $190 million dollars, which is low considering the magazine was once one of the most popular reads in the country — but high considering the company has lost roughly a quarter of its subscriptions in the past year as its struggled to adapt to the world of digital, according to The Wall Street Journal. The Benioffs will hold Time as a family investment with no connection to Salesforce, Time Editor Edward Felsenthal said in a statement. Other West Coast heavyweights have been buying legacy print publications from private owners that have struggled to revive struggling papers amid a tough economic environment for legacy media — and specifically print. Jeff Bezos purchased The Washington Post for $250 million in 2013. The Amazon CEO bought the title from the Graham family, which had owned the paper for decades but struggled to keep it financially stable. Laurene Powell Jobs, businesswoman, philanthropist and widow of Apple co-founder Steve Jobs, bought a majority stake in The Atlantic last year from Washington business mogul David Bradley. Powell Jobs, through her firm Emerson Collective, has made investments in several new media companies, like Axios, OZY Media and Gimlet Media, and has given grants to others. Patrick Soon-Shiong, a biotech billionaire, purchased the Los Angeles Times and the San Diego Tribune in April. He is reportedly in talks with McClatchy to buy up the rest of Tronc, which owns dozens of Chicago and East Coast-based newspapers. The bigger picture: This trend is happening alongside other changes in technology and economics that are pushing power in media from New York and Washington to Los Angeles and Silicon Valley. Smartphones and smart TVs are pushing time and attention — as well as advertising and subscription dollars — away from legacy media companies to new companies. As a result, talent from the East Coast is moving west in search of better opportunities at more innovative companies. Be smart: For the new guard of wealthy West Coast titans, media is the new philanthropy. And legacy titles, rich with history and cachet, give newcomers access to the talent and infrastructure needed to build influence.